This Book of Memories memorial website is designed to be a permanent tribute paying tribute to the life and memory of Kathryn Held. It allows family and friends a place to re-visit, interact with each other, share and enhance this tribute for future generations. We are both pleased and proud to provide the Book of Memories to the families of our community. 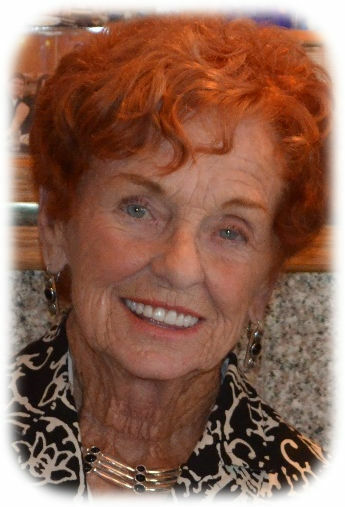 Kathryn M. (Savage) Held, 82, passed away peacefully on June 22, 2018 at her home in Stone Harbor New Jersey surrounded by her loving family. She was also residence of Bonita Springs Florida and former resident of Chalfont Pennsylvania. Born in Philadelphia, PA, Kathryn was the beloved daughter of the late Thomas I. Savage and Ann (Gordon) Savage the middle child among three siblings. She graduated from St. Hubert’s High School in 1954 and St. Joseph’s Hospital School of Nursing in 1956. Kathryn was a devoted wife, mother and grandmother who enjoyed many family gatherings full of humor and love. During her early life as an O.R. nurse she worked at St. Joseph Hospital in Philadelphia. As a devout Catholic she supported the youth of Saint Jude’s’ Parish in Chalfont, PA by establishing a school Library and supporting the Catholic Youth Organization. During this time, she promoted many “Social and community events” within the parish. As an avid tennis player and team captain, she had many friends in Florida, Chalfont, PA and Stone Harbor, NJ. And she cherished those friendships. Kathryn was preceded in death by her loving husband, Richard, of 56 years and her brother, Thomas I. Savage, Jr. She is survived by her beloved children, Kathiann Norton (Jim), Teresa Held (Pete Casalena), Richard H. Held, Jr. (Naomi Kaphan), and Peggy Haldeman (Michael). Also surviving are her grandchildren: Tim, James, Ryan, Michael Jr., Briana Nicole, and Owen. Also surviving is her sister: Nancy Heilman (Stewart). Friends and family are invited to attend her Funeral Mass at 11:00 AM, Friday, June 29, 2018 at St. Jude Roman Catholic Church, 321 West Butler Avenue, Chalfont, PA. The family will receive from 9:30-10:30AM. Words of remembrance will begin at 10:45am. Interment will follow at St. John Neumann Cemetery. In lieu of flowers, donations can be made to the Alzheimer Association https://www.alz.org.